One of the past Summer Camp Directors of Camp Alexandra, Joyce Eileen Sihota, passed away on Feb. 18, 2017 at the age of 91. Joyce was a devoted mother of seven children, and she spent much of her adult life raising them and supporting her husband in his career as a teacher. 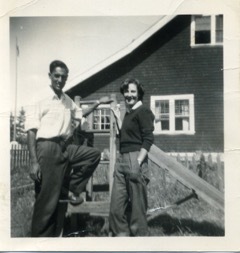 But she also spent many years working at Camp Alexandra both before her children were born and while they were little. As a young woman, she spent summers in the 1940s working at the camp, helping her mother, Mrs. Myrtle Judge, who was Camp Director at that time. 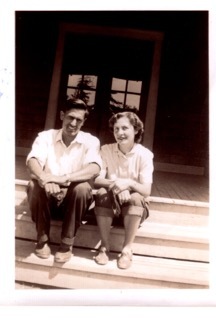 In 1947 when Joyce graduated from UBC with a degree in Social Work, she was hired as Summer Camp Director while her mother took on the role of Executive Director. She was married in September 1948 and by November of 1949, she and her husband Dee had welcomed their first child. She continued working for the camp until February of 1958, when her fifth child was born. At that point, Dee took over as Summer Camp Director and the Sihota family continued their involvement at Camp Alexandra until 1960. The Sihota children grew up feeling as if they “lived at camp”. Joyce brought her kids to camp with her and had them help out with odd jobs while she was busy with the bigger tasks required of the Director. Joyce had many varied duties at Camp. She was responsible for getting the camp up and running in the spring, which included hiring camp leaders, cooks and cook’s helpers, a nurse, cleaning staff, an arts and crafts leader, activities leader, etc. Back then, heating and cooking were done by coal, so she was in charge of ordering the coal. She also had to order the food for camp meals. There were a variety of camps held during the summer months: camps for seniors, for mothers, for mothers and children, and for teenagers. 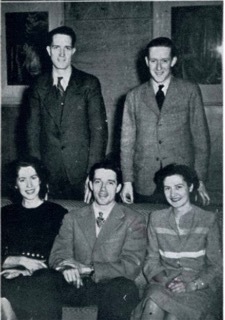 Each of these camps were generally two weeks long and Joyce planned them in advance so that everything would run smoothly. At the end of camp season in mid-September, there was the daunting task of winterizing the camp until the next year. This included identifying any repairs needed, making recommendations for the following year and finalizing the accounts. One of her least favourite tasks was airing out the mattresses used by children and mothers during each camp session. Between camps, the mattresses had to be taken out of the cabins and bunkhouses and aired in the sunlight and fresh ocean breezes. Even today Joyce’s children laughingly remember the “peculiar smell” of the Camp Alexandra mattresses. During Joyce’s time as Director in the late 40s and 50s, Camp Alexandra was run as a summer camp for disadvantaged mothers and children from Vancouver. It was a place where working mothers could escape from the poverty of their daily lives in the city to find relaxation, rejuvenation, and enjoyment together with their children at Crescent Beach. Joyce’s forte was working with these mothers, encouraging them to see the bright side of life amidst their many troubles. She treated each person as a unique individual and she took great care to learn their personal stories so that she could figure out how to help them best. She knew that their time at camp was an opportunity for them to get out and experience something very different from the stress and poverty of their lives in the city and she did her best to make sure that their summer holiday at Camp Alexandra would brighten their whole year. Most importantly, she wanted these women to know that they could make something of their lives, and she did her best to encourage them to have hope for the future, for themselves and for their children. Camp Alexandra has always been a place for people of all backgrounds to come together to experience fun and community in a welcoming environment. As Summer Camp Director, Joyce Sihota was instrumental in encouraging this sense of community and togetherness. She spent her life bringing people together, and her passing has left a hole in our family and in our community.